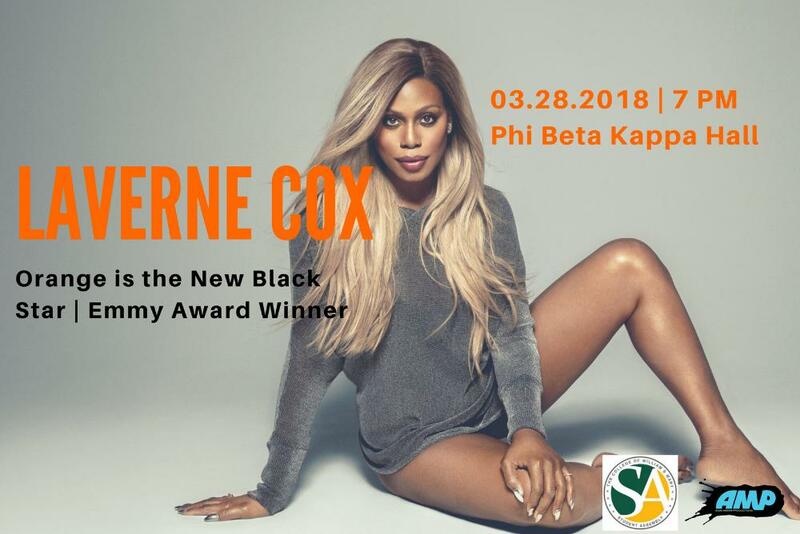 Laverne Cox is an Emmy-nominated actress and Emmy-winning producer best known for her work on the critically acclaimed Netflix original series ?Orange is The New Black? where she plays the ground breaking role of Sophia Burset. Laverne is the first Trans woman of color to have a leading role on a mainstream scripted television show. The event, which includes a question-and-answer session, will take place in Phi Beta Kappa Memorial Hall at 7 p.m. with doors opening at 6:30 p.m. 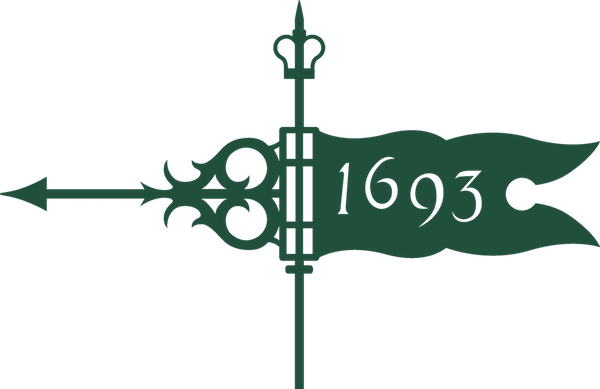 The lecture is sponsored by Alma Mater Productions and the W&M Student Assembly with generous support from the Janet and Peter Atwater Lecture Endowment. Tickets are $10 for the public and FREE for students, faculty and staff with ID. They will be available beginning Feb. 28 at the PBK box office for students, faculty and staff, with a limit of one per person. Because ID is required for those tickets, they will not be available online. However, general admission tickets will go on sale March 2 at the PBK box office and online. The PBK Box office opens at 10 AM. Laverne has recently expanded her TV presence with two diverse and groundbreaking roles. Laverne took on the iconic role of ?Dr. Frank-N-Furter? in the Fox remake of ?Rocky Horror Picture Show.? The two-hour TV event premiered in the Fall of 2016 and was directed, choreographed and executive produced by Kenny Ortega, with other executive producers including Lou Adler and Gail Berman. She currently stars on ?Doubt,? a CBS legal drama from ?Grey?s Anatomy? producers Joan Rater and Tony Phelan. Laverne plays ?Cameron Wirth?, a Trans Ivy League-educated lawyer who?s both competitive and compassionate. ?Doubt? is the first broadcast series featuring a transgender series regular character played by a transgender actor. Laverne?s work as an actress and advocate landed her on the cover of TIME Magazine as well as an Emmy nomination for ?Outstanding Guest Actress in a Comedy Series.? Laverne continues to break boundaries and make history with accolades including back to back SAG Awards for ?Outstanding Performance by an Ensemble in a Comedy Series,? a Critic?s Choice nomination for ?Best Supporting Actress,? and consecutive NAACP Image Award nominations for ?Outstanding Supporting Actress in a Comedy Series.? This past year, Laverne had several stand out performances in both film and television. On the silver screen, Laverne was recently seen as ?Deathy,? a supporting role in the Lily Tomlin film "Grandma" from acclaimed writer and director Paul Weitz. Laverne appeared as a guest star on several TV shows including; the hit Fox comedy ?The Mindy Project,? Bravo?s ?Girlfriend?s Guide to Divorce? and MTV?s ?Faking It.? She also hosted #GoBold brought to you by Revlon, an empowering web series that celebrates bold, provocative women setting out to accomplish their goals.